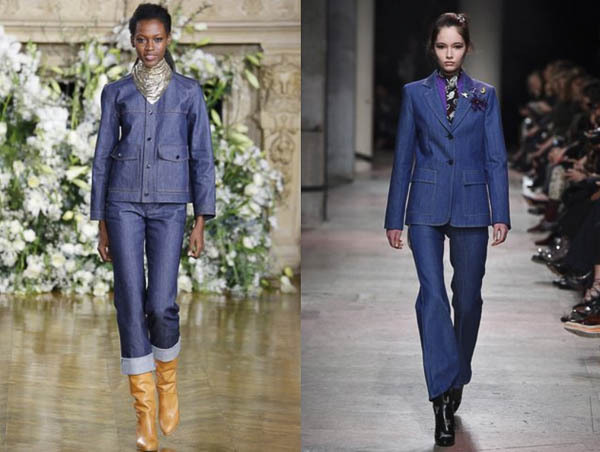 Denim is having it’s own renaissance these days. Designers are letting their freak flags fly and their imagination is the limit with new designs. James and I have been calling it “surprise me” denim. There are so many variations and new ways of wearing the classic humble material in 2016, one might be overwhelmed at the options. Not to stress! Just pinpoint what works for you and work it. It’s ultimately about finding your unique style and getting that relished inspired feeling. Yep, it’s time to change it up again, kids. I’m not going to suggest you throw away all your skinnies – they still have their time and place (like camping or lugging photo equipment) – but it’s time to dust off and rearrange the old jeans pile. You can start by putting your favorite boyfriend jeans, mom, flare and wide leg variations at the top. Next, pull your classic or shearling lined jean jacket to the front of your hanging closet. 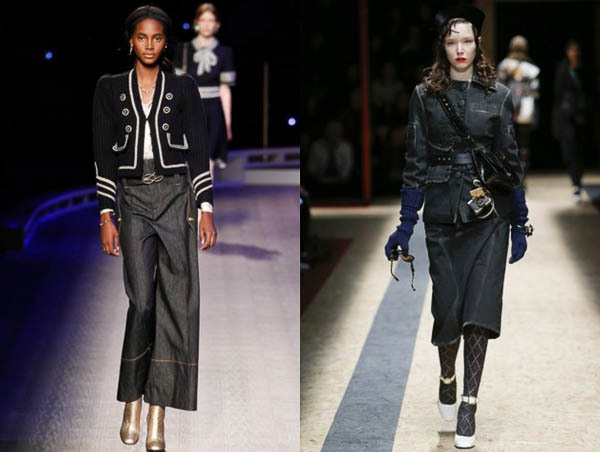 For those of you ready to invest a few dimes, try one of the latest trends – a frayed look, shadow hems, patchwork, gothy black, customized or a color blocked / two-toned variation. 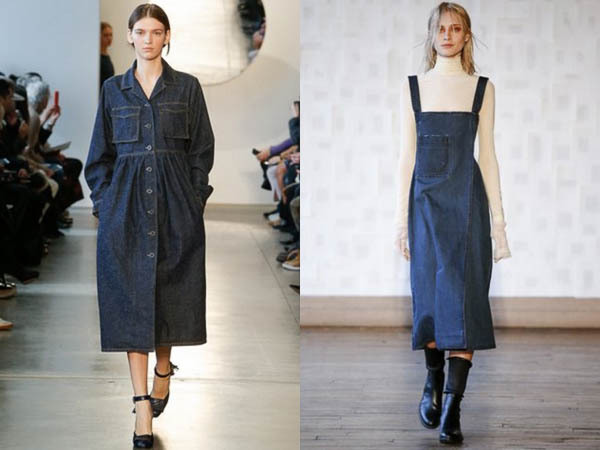 Don’t be afraid to opt for a totally new article of denim: a jumper, dress, trench coat, suit, mini or midi skirt, shoes or purse. Consider a full top to bottom look, but if you’re using ready to wear separates, be aware of how the washes work together. Get bonus points and stand apart by waxing creative with patches, pins, brooches, embroidery, and metallic accents. Try to shake things up and wear your denim differently than you’re used to. Button your jacket to the top and pop your collar if you’re feeling foxy (or cold, let’s be real). Button only the bottom buttons and pull the top down toward your shoulders for some youthful angst à la 90’s. Drape your jacket over one shoulder for uber cool attitude. Let yourself be free of fear and old habits. 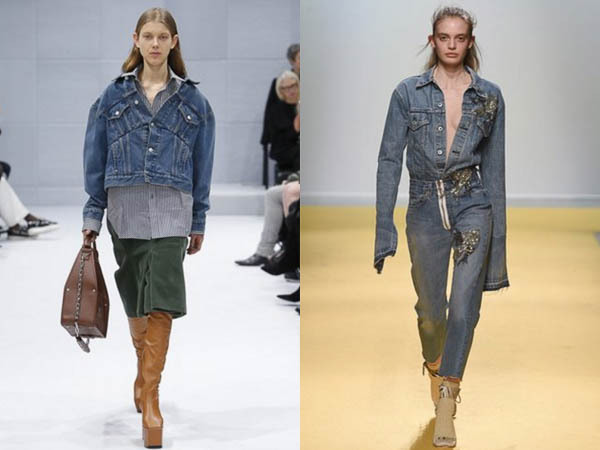 Self expression is here and now and denim is our playground. The bell is ringing!